Twenty years ago, John Marsden's Tomorrow series captivated a generation of readers. Now, Mark Smith's The Road to Winter tells a thrilling, primal, twenty-first century story of courage and survival in the Australian wilderness. Since a deadly virus and the violence that followed killed his parents and wiped out most of his community, Finn has lived alone on the rugged coast with only his loyal dog Rowdy for company. He has stayed alive for two winters - hunting and fishing and trading food, and keeping out of sight of the Wilders, an armed and dangerous gang that controls the north, led by a ruthless man named Ramage. But Finn's isolation is shattered when a girl runs onto the beach. Rose is a Siley - an asylum seeker - and she has escaped from Ramage, who had enslaved her and her younger sister, Kas. Rose is desperate, sick, and needs Finn's help. Kas is still missing somewhere out in the bush. And Ramage wants the girls back - at any cost. 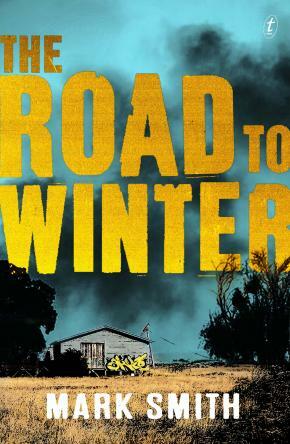 The Road to Winter is an unforgettable novel about survival, honour, friendship and love. It announces an extraordinary new talent.